You might think that all keys are one in the same, but not all vehicle keys are made to be identical any more. 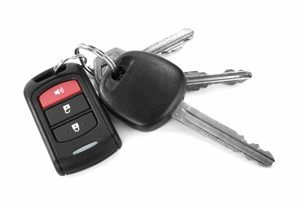 Even though different makes and models of cars have keys that are cut slightly different, a transponder key is completely unique in design. This type of key is specially made and it is infused with the latest technology. This means that the newest vehicles are the ones that typically come equipped with a transponder key. It is important for you to know what a transponder key is and how it works in case the one that you use for your vehicle becomes lost or stolen. When you are dealing with a transponder key, you need access to a locksmith in your region that is familiar with dealing with keys of this type. The most unique thing about a transponder key is the way in which it functions. It is a key that operates electronically. This means that you do not have to manually turn the key in order to start the car or to unlock the locks on the door. You can use the push of a button on the transponder key to unlock the doors and to start the vehicle. This is designed to add convenience for car owners. However, this can be troublesome to car owners when they are dealing with a transponder key that has become lost or stolen. It is a security feature that many cars that were made after 1995 have. This means that if you have a relatively new car, you most likely have a transponder key. The cut of the key on a transponder key is unique. This means that the key has to be cut in a specific way to ensure that it sends the right message when the key is turned. If the right message is not sent due to the specific cut of the key, it will not start. This means that if you are having a transponder key cut by a locksmith professional, they must be experienced enough to know how to cut a key of this type in the way to ensure that it will still send the right message when turned in the ignition switch. A transponder key is designed to add security, but it is a key that your locksmith must be familiar with.